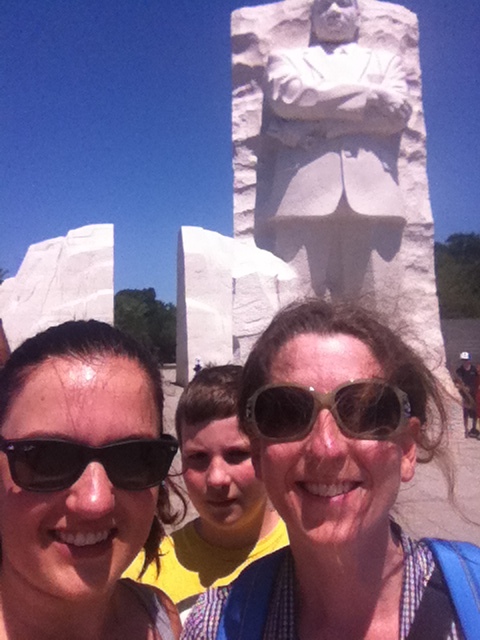 Heather and me at the MLK Memorial in the summer of 2012. It’s Thanksgiving, apart from having one less class this week and more time to finish end-of-semester-schoolwork, I’m celebrating the holiday with my friend Heather and her family in Virginia. I’ve never been Thanksgiving’s biggest fan. Turkey isn’t my favorite food, I like cranberries but prefer them simple and delicious instead of in sauce form, and I don’t believe in non-chocolate desserts so pumpkin pie doesn’t do anything for me. That being said, I’ve had a couple of pretty amazing Thanksgivings. The best was certainly in the Bahamas when my mom carried a turkey through three airports as her carry-on and, upon arrival to Nassau, the turkey was still frozen. We celebrated with some people I was working with. There were ten people, three kinds of meat, more than one side dish per person and several desserts (many included chocolate), great conversations, new friendships, and a good time was had by all. From the rave reviews I’ve heard, the combination of southern hospitality, friends and a love of entertaining, today’s Thanksgiving will probably rank near the top too. I’m so excited to spend the day with Heather and her family, I don’t get to see them often enough now that we’re several states apart.